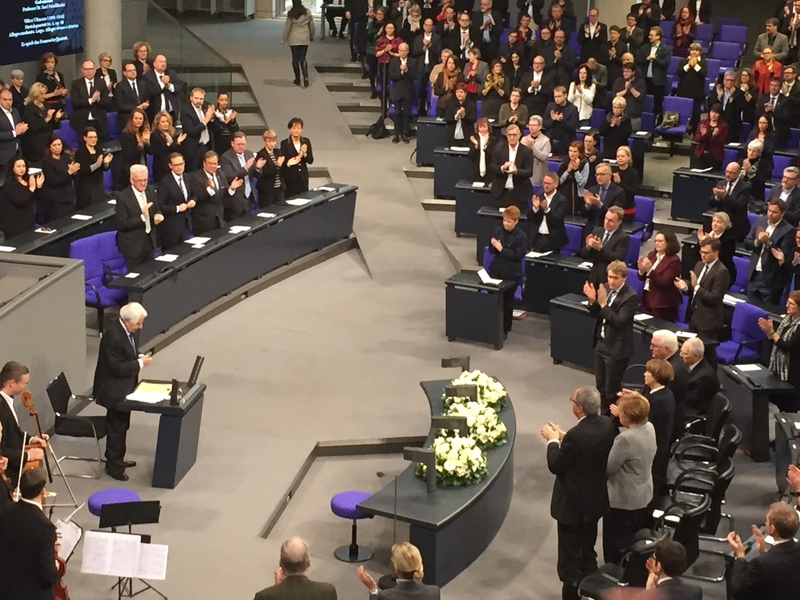 On January 31st, ELNET-Germany commemorated the victims of the Holocaust in the memorial ceremony of the German Bundestag. The German team was joined by ELNET representatives from Israel and the US. In his opening remarks, the President of the German Bundestag, Dr. Wolfgang Schäuble called on all German politicians to support efforts towards maintaining a lively culture of remembrance, in which the state plays a key role and must not solely rely on the civil society. He further appealed to the audience to always speak up against growing tendencies of racism and nationalism. The main speech of the ceremony was given by the Israeli historian and Holocaust-survivor Prof. Dr. Saul Friedländer, who evoked Germany’s historical and moral obligation to fight antisemitism and to safeguard the existence of the state of Israel and the Jewish people everywhere and at all times. The memorial ceremony was followed by the opening of the exhibition “Some were Neighbors”, curated by the U.S. Holocaust Memorial. The exhibition is currently on prominent display in the foyer of the Paul-Löbe-Haus, one of the major office-wings of the German Bundestag. The leadership of ELNET-Germany and its guests enjoyed the opportunity to visit the exhibition with close ELNET-friend Carsten Ovens and thus conclude a morning of powerful symbolism and appeals to never let us forget.